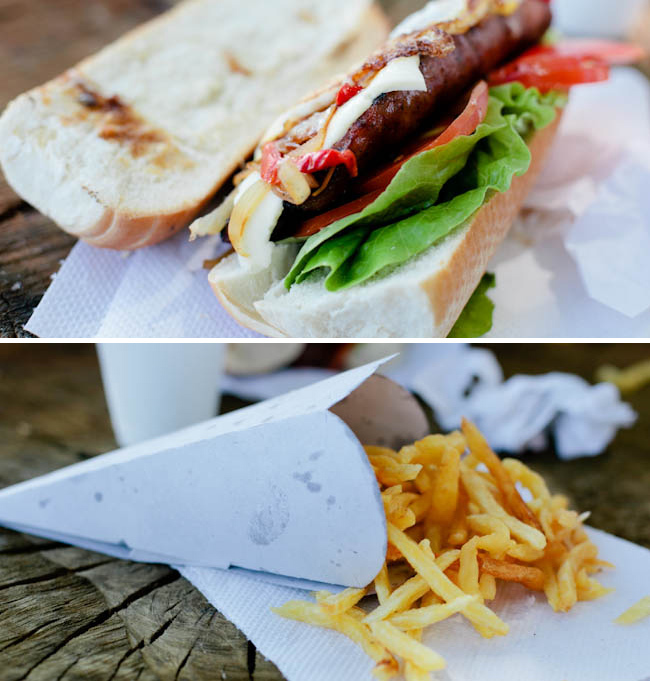 Puerto Madero Carrito :: Choripan | .liveit.loveit.blogit. On Friday, we decided to take our friend Ian to the ecological reserve in Puerto Madero. Buenos Aires is a city of contrasts and the ecological reserve in Puerto Madero is striking example of these. If you are familiar with Yaletown, Puerto Madero is like Yaletown. If not – imagine modern, glassy, shiny, buildings. But, as usual, Buenos Aires is full of surprises and butting off Puerto Madero is a gigantic ecological reserve. Open Tuesday to Sunday, the reserve is a great haven in the middle of the city. However, the paths are wide and there is not a lot of shade. We learned this the hard way – and all came back super burnt. 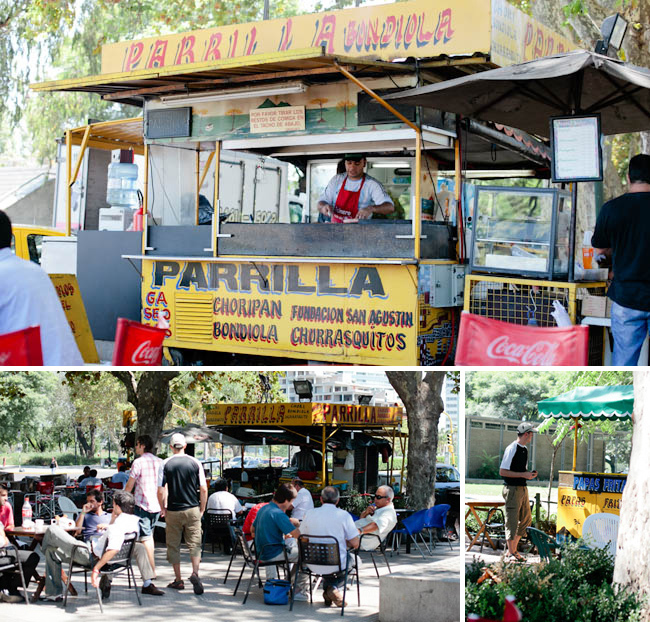 And, in another surprising feature, fancy Puerto Madero, is home to several semi-permanent street food stands(called carritos). These are sort of like hot dog stands on steroids. Some clients had told me good things about the parilla at the corner of Calabria and Mignone, it might be called “Parilla Bandiola” – it’s always busy (it looks like it does a fair amount of cab driver business). You can recognize this one because of its semi-permanence (there is a small garden behind the stand), its separate papas fritas guy, and its neat tables made out of tree stumps. You order your food (even your fries) from the cash register next to the parilla, then you get a number for your sandwiches and ticket to take to the fries guy for your fries. Offering a very short menu of various grilled meat sandwiches, we all opted for the choripan (chorizo on a bun) and a cone of fries to share amongst the three of us. The fries were, far and away, the best fries we have had in BA. They were thin cut, hot, crispy, and fresh. The choripans were huge. The chorizo was delicious (albeit a bit greasy – but this is street meat), the fried onions were tasty, and the tomato and lettuce made it feel like you were eating something at least a bit healthy. The only disappointment for me was the bread. I may have got an old one, however, because the guys said their bread was ok. I ended up eating my choripan as a open faced sandwich, a good idea because it made it a bit more manageable! 3 of us ate a big, delicious, greasy lunch, with a 1.5L bottle of water and fries for 60 pesos ($15). Well worth it, but don’t do it every day for the sake of your arteries!